Lend a hand for WORK Literary Magazine’s new website banner … the banner will feature several hands, including yours in all its hard-workin’ glory. Please note: Shoot location is Portland, Oregon! 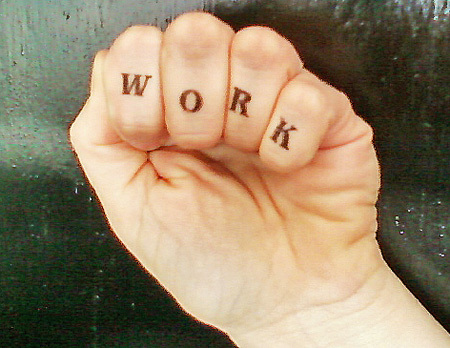 Bonus points for scars, tattoos, grime, manicures, painted nails, or interesting cuffs or wrist bangles. Photographer Salvez Dodd will take wicked-rad photos! Blackbird will uncork delicious, affordable wines! WORK editors will enlighten you with anecdotes from their various multitudinous past and current occupations! Email workzine@gmail.com for more info.